ANALOGY OF "ANI"&"TUTU" OF THE "OTUTU" SHRINE'S HOLY DOCTRINES. THE REASONS OF "ANI" THE NUBIAN: OF THE 42-DECLARATIONS OF INNOCENCE. ALSO AS THE “ASAFOATSE TUTU-ANI” THE EAGLE. THE MISINTERPRETATION AND THE GREEK PHONETIC TRANSLATION OF THE NAME "TUTU" AS "THOTH". THE GREEK WORD (THO-TH), " THO" = "TU", "TH" = "TU" :- "TUTU", THE "OSA TUTU-ANI". THE "ASAFOATSE TUTU-ANI" WHO WAS THE ORACLE AND THE DOMINANT OF THE "OSA" SPIRITUAL DOCTRINE WRITINGS AND IT PRACTICES OF THE "KPA" (KHEPERA) THE SPIRITUAL TESTIMONIES, WHILE "OSA" (OSIRIS), THE SPIRIT SOUL OF THE SUPREME DIVINE CREATOR OF THE UNIVERSE WAS THE TRINITY. 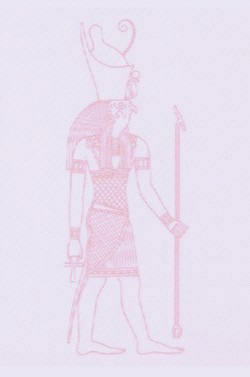 "Tutu-Ani" was the Spiritual brain faculty of the ancient Nubians Spiritual Doctrine". The name (O-TUTU), “O” as a singular, “OTUTU”; was derived from the Ga-Adangbes ancient Nubii (Nubian) ancestor “TUTU-ANI”, whose legacy they have maintained in honor of a SPIRITUAL throne as “ASAFOATSE TUTU-ANI”. Tutu-Ani was the brain faculty of the ancient Nubians Spiritual Doctrine and the icon of spiritual functions of the dead, their judgment and the state of awaiting to rise into the home of immortality. The judgment of resurrection was pronounced through ‘’Osa” their spiritual soul of “Nu-mo” or “Nyumo”. When they died, their body spiritually become the body of “Osa”. This belief of the ancient Nubii (Nubians) became spiritually active to them, when one passed the Holy practices in Life by adhering to the Testimony of the “42-Declarations of Innocence” established by the Ancient Nubii (Nubians). The title “Tutu” linguistically means “Holy Spiritual Body”. Tutu-Ani's actual name was “Ni” which was sometimes phonetically called “Oni, Nii, or Ani”. Due to the vital spiritual belief of his regime generation Ga-Adangbes, Akans and others, named names after his title name “Tutu” such as; “OTU, OTUKO, OTUM-FUO, OSEI-TUTU, OTUTEY, OTUFO-YOO now OTOFO-YOO, (OTOFOYOO), OTU-BLOHUM, TU-KPA-WE, OTU-KWADZAN, KUTU, TUTU DESMOND, and TUTU-AKAMON (TUTU ANKAMON) etc. 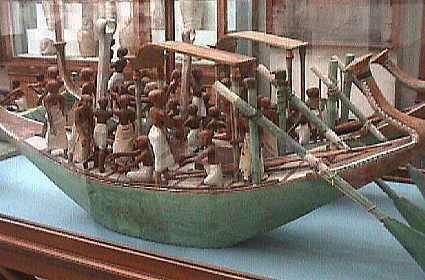 ANCIENT NUBIANS, SPIRITUAL FISHERMEN. THE LEGACY OF THE GA-ADANGBES AND THE FANTES OF GHANA. There was a testimonial judgment sermon, which occurred in the spiritual hall of judgment in the presence of “Osa”, the spiritual name of “Mensa” who was the sitting king-judge; “Asafoatse”, the so-called “Osiris” by the Greek. Osa’s presence was mandatory to the process as the Redeemer; the spirit soul “Sa” of “Nu-mo” or “Nyumo”. Tutu-Ani conducted the sermon process as the mouth, ear, and the spiritual symbol of the Holy practices. This Ancient legacy of the ancestors of the Ga-Adangbes has been a spiritual mark of the Ga-Asafo people, Ada/Krobo-Asafo people, and the Ewe people as a deeply rooted Doctrine that they practice. The testimonial judgment sermon occurred in the burial tombs of the kings, judges, and spiritualists who were part or members of the 42-Declarations of Innocence Testimony. 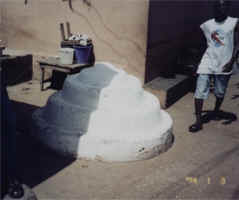 The member Ga-Adangbe, as generation of the Ancient “Nubii”, in remembrance, resurrected and honored their spiritual icon Ancestor; “Tutu-Ani” along with the establishment of the legacy Doctrine in a symbol of the ancient cone step shrine form as “O-tutu”, name after his title “Tutu” to represent the Body Spirit of the Holy Testimonial Judgment. The shrines are described as “O-TUTU” (OTUTU), or “WON” by the Ga-Adangbes. The word “WON” literally means “Spirit”. Though there are good “Spirits” and bad “Spirits”, the word “Spirit” associated with the word “Otutu” has been ignorantly disassociated from the word “Spirit” by others, without true knowledge of the word “WON”, and about the “Otutu”. STEP STYLE "OTUTU"(SHRINE) OLDER THAN THE PYRAMID STYLE. FOR A NUBIAN ORACLE-KING DJOSER (A-DZE-OSA). ANCESTOR OF MANY NUBIANS INCLUDE THE GA-ADANGBES. The title “TUTU” has been an illusion to most Archeologists, Egyptologists, Anthropologists and other scholars. 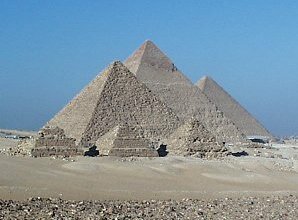 The title name OTUTU “TUTU” is the original and proper name of the Pyramid shapes of the Nubian Shrines instead of the foreign name "Egyptian Pyramids”. The Greek who were not of the Nubian tongue came closer with the word “Tu-mb”, now phonetically called “Tomb”. The title name “Tutu” was not a name of “Ani’s” wife. TUTU, was a royal spiritual title used by Ancient Nubian Kings as “Tut-Mose I”, “Tut-Mose II”, “Tut-Mose III”, “Tut-Mose IV”, and “Tutu-Ankamon” (Tutu-AniKaAmon). The word Dzen-man-won, or “Dzen-man-won-dzii”, now phonetically “Dzemawodzii”, means “Universal Spirits”. There are graduates of Spiritualist, who have specialized as a temporal temple bodies for a particular Universal Spirit. The universal spirit is believed to be a part member of the Ancient Holy Practices, “the holy practitioners” of the ancient Nubians. 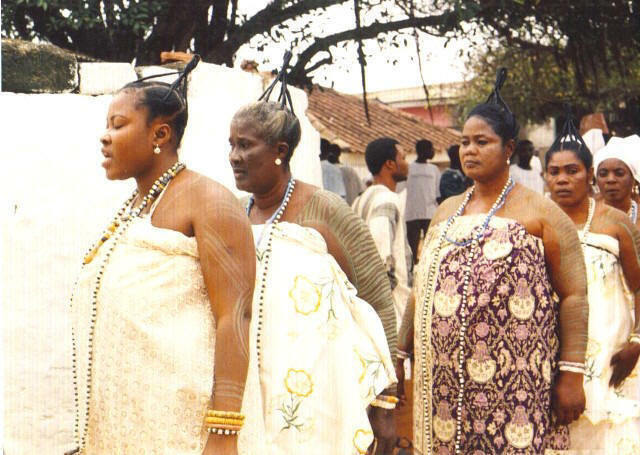 These graduate spiritualists are known to the Ga-Adangbes as “Won-Yoo” ,“Won-Yei”= “Female Spiritualist(s)”. “Won-Nuu” or “Won-Hii”, = “ Male Spiritualist(s)”. 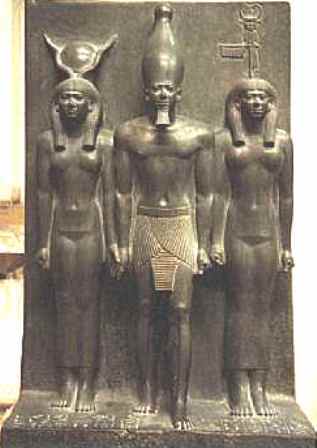 THESE ARE "Nu-Bii" (NUBIANS), NOT EGYPTIANS. THEY NEVER ASSOCIATED THEMSELVES OF A GREEK DESCRIPTION; "EGYPTIANS". I met a beautiful graduate “Female Spiritualist” of the “O-kwei-Nyumo Tshaa Dzeman Won”, of Teshie; a sub-nation of the Ga-Adangbes”. She had graduated as one of many students of “Aawon-AmenHuda” who is a female “Professor in Universal Spiritualism”. Their institutions are sacred and freely exist within them and in their communities are the "Otutu" shrine symbols. They are honored only by the Ancient spiritual world of the phenomenal reasons of the world existence which led to our being. They are pricelessly versatile, yet they carry the spirits of the Ancestors who are being resurrected through birth among (us)/ Ga-Adangbes everyday. They often have open minds in respect to people giving them the benefit of the doubt. To get to know them, one must have the passion of respect for their beliefs. 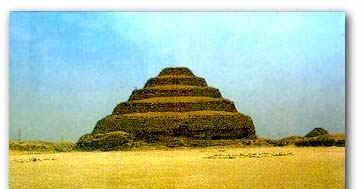 They are certainly the living spiritual Encyclopedia of the Ancient Nubians, for the Ga-Adangbes and others. DZRANO-YEI DIVINITIES, PART OF THE DIVINITY BOARD OF DIRECTORS OF THE LA-ASAFO SPIRITUAL DOCTRINE. "DZI"-"GBO"-"TI" (DZIGBOTI) or (DJIBOUTI); A TITLE MEANING "THE REDEEMER OF RESURRECTION" WHICH WAS ONE OF THE MANY HONORABLE TITLE FOR "OSA" THE SO-CALLED "OSIRIS". "DZI" MEANING THE REDEEMER AND "GBO" MEANING "THE END AND THE BEGINNING" (RESURRECTION), ALSO "GBO" NAMED AFTER THE FIRST MONTH OF THE YEAR (BETWEEN AUGUST AND SEPTEMBER) IN HONOR OF "OSA" (OSIRIS). THE WORD "GBO" IS STILL ACTIVE AS AN AUTHENTIC ANCIENT LEGACY OF THE GA-ADANGBES OF GHANA. "DZI-GBO-TI" (DJIBOUTI) ALSO NAMED TO "MAN" (THE WORD "MAN" TO THE ANCIENT NUBIANS AND THE GA-ADANGBES, MEANS A GEOGRAPHICAL AREA AS A TOWN, CITY, CITY-DISTRICT OR NATION). THE WORD "MAN" IS ALSO ADDRESS AS AN ADJECTIVE TO A PERSON OR PERSONS BY BOTH THE GA-ADANGBES AND THEIR ANCESTORS. "DJIBOUTI MAN" MEANS "DJIBOUTI CITY OR DJIBOUTI COUNTRY" ETC. "DJIBOUTI", AN ANCIENT CITY IN THE PRESENT SOMALIA NATION, ONCE A STRONG SPIRITUAL PRACTICES TERRITORY OF THE ANCIENT NUBIANS AND ONCE AN ANCIENT NUBIAN PLAINS TERRITORIAL HOME OF THE GA-ADANGBES, WITH THEIR LEGACY NAMES AS; "ADZEI KUSHI" (ADJEI KUSHI), "ATAA-KWEI KUSHI-KUSHI" AND "KOSHI" (KUSHI), ETC.